BUSAN: The Motion Picture Association (MPA) and the Asia Pacific Screen Awards (APSA) Academy today announced the members of 2018 MPA APSA Academy Film Fund jury who will determine the four recipients of the highly successful annual US$100,000 grant that supports script development in the region. The dedicated Jury members in 2018 will be Kiki Fung, Programmer at the Hong Kong International Film Festival, Korean Producer Kim Young and returning Jury Chair Andrew Pike OAM. The MPA APSA Academy Film Fund was created to support the development of new feature film projects by APSA Academy members and their colleagues from the culturally diverse Asia Pacific region. The fund awards four development grants of US$25,000 annually, and is wholly supported by the MPA. Symbolic of a long partnership between the two organisations, the fund supports screen stories from the region, which spans 70 countries and areas and is the fastest growing region in the world in terms of cinema production. Projects are assessed by the same criteria that apply to films in the APSA competition – films that best reflect their cultural origins, demonstrate cinematic excellence and are deemed Asia Pacific in origin. The MPA APSA Academy Film Fund has enjoyed phenomenal success in 2018, with a staggering six funded projects reaching completion and receiving prestigious World Premieres at Cannes, Venice and Fajr International Film Festivals. 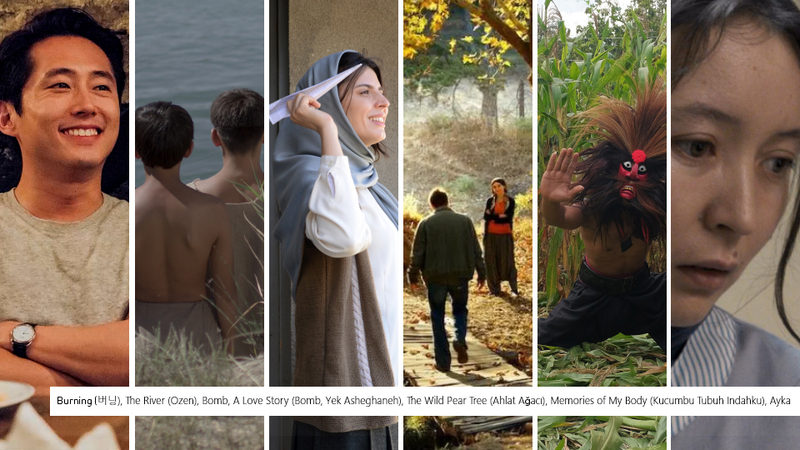 Lee Chang-dong’s Burning, Sergey Dvortsevoy’s Ayka and Nuri Bilge Ceylan’s The Wild Pear Tree produced by Zeynep Atakan all debuted in Official Competition at the Cannes Film Festival, with the Best Actress award going to Samal Yeslyamova (Akya). Emir Baigazin’s The River and Garin Nugroho’s Memories of My Body premiered in the Orizzonti (Horizons) section of the Venice Film Festival, where Emir Baigazin was awarded Best Director. Payman Maadi’s Bomb, A Love Story premiered at the Fajr Film Festival earlier in the year where it won the Special Jury Prize. It was announced earlier this month as one of the five nominees for APSA’s inaugural Best Original Score award. The fund is open to all APSA Academy Members, including the soon to be announced 2018 nominees. To date, 32 projects from 20 different countries and areas of Asia Pacific have been supported through the initiative. The four recipients of the 2018 MPA APSA Academy Film Fund, the ninth edition of the highly successful international funding initiative, will be announced at the 12th Asia Pacific Screen Awards ceremony in Brisbane on November 29. The announcement was made by MPA President and Managing Director of the Asia Pacific region, Mike Ellis, from the 23rd Busan International Film Festival where the MPA is currently partnering with BIFF in a number of events including with Platform Busan on a Masterclass with director Patrick Hughes (The Hitman’s Bodyguard, Expendables 3, Red Hill), and the Asian Film Academy in the AFA-MPA Film Workshop “Bridge to Hollywood”. Andrew Pike is a film distributor, historian and documentary filmmaker. His company, Ronin Films, began theatrical distribution in 1974, focusing on films from Asia Pacific and Europe including many Chinese Fifth Generation films in the 1980s, and Japanese classics. The company’s Australian releases include Baz Luhrmann’s BAFTA-winning Strictly Ballroom (1992) and Scott Hicks’ Academy Award®-winning Shine (1996). His directorial debut was Angels of War (1983), a documentary about Papua New Guinea’s involvement in WWII that won an Australian Film Institute Award. He has directed other documentaries including The Chifleys of Busby Street (2008), Emily in Japan (2009) and codirected Message from Mungo (2014) with Ann McGrath, winning a United Nations Association Media Award. Andrew Pike also produced Across the Plateau (2007) for Chinese director Zhang Zeming. In 2007, Andrew Pike received an Order of Australia Medal and an honorary doctorate from the University of Canberra. For ten years until 2012, he served on various iterations of the Board of the National Film and Sound Archive of Australia and and is Director of the 2017 Canberra International Film Festival. He also co-authored the non-fiction book Australian Film 1900-1977 with Ross Cooper. Kiki Fung is Programmer for the Hong Kong International Film Festival (HKIFF). She was previously Head Programmer for the Brisbane International Film Festival (BIFF) and Brisbane Asia Pacific Film Festival (BAPFF), and Industry Consultant for the Asia Pacific Screen Awards (APSA). She has guestcurated for the Brisbane Festival and Sydney’s Museum of Contemporary Art, and was Film Program Manager for the Melbourne International Arts Festival. Before moving to Australia in 2010, she served at the Hong Kong Film Archive for seven years in areas of publication editing, management and program co-ordination. She is a member of the Network for the Promotion of Asian Cinema (NETPAC) and a committee member of the Hong Kong Film Critics Society; her recent essays published in Wong Ain Ling’s The Cinema of Wong Kar-wai and HKIFF Society’s Naruse Mikio, 110th Anniversary. Kim Young is the President of Miru Pictures and a producer. She was the co-producer of A Tale of Two Sisters (2003) by director Kim Jeewoon and was the executive producer of Digital Short Film Omnibus Project Twentidentity (2003), an anthology short film project with 20 directors including Bong Joon-ho and Kim Taeyong. She was the Team Chief and producer at Motion 101, a subsidiary of Showbox, and the Executive Producer in charge of production planning, marketing and distribution for the Korean Academy of Film Arts’ feature course (KAFA+). She then worked as the Movie Collage Team Chief at CJ CGV (CGV Arthouse) and was part of CJ CGV America in L.A. in charge of exhibition business for CJ E&M US. Kim is currently developing various Korean film projects and international co-production projects and has a strong interest in developing technology-based content as well as films. She was a visiting professor at KAFA and a Professor at AFiS Asian Film School in Busan. 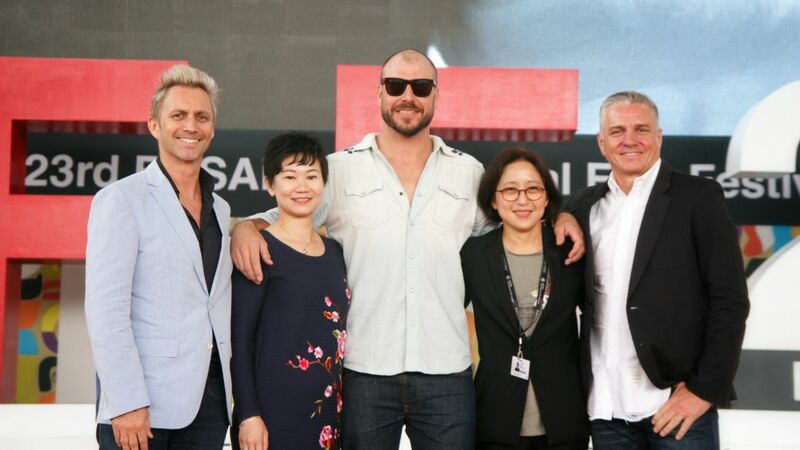 The region’s highest accolade in film, the Asia Pacific Screen Awards, based in Brisbane, Australia, are supported by Brisbane City Council and managed by economic development board Brisbane Marketing. APSA recognises and promotes cinematic excellence and cultural diversity of the world’s fastest growing film region: comprising 70 countries and areas, 4.5 billion people, and responsible for half of the world’s film output. APSA and its Academy is committed to its ongoing global partnerships with UNESCO, FIAPF, the European Film Academy (EFA), the Motion Picture Association (MPA), Premios Platino del Cine Iberamericano, NETPAC (the Network for the Promotion of Asian Cinema), the Asia Pacific Screen Lab (APSL) and Griffith Film School.